Our final stop of the 5 sake breweries of Suwa is to Maihime. It is the closest to the station and one of the easiest breweries to discover in the town. Maihime is a smaller brewery, on the surface. They have a bigger presence than Honkin and Yokobue but they aren’t too well known beyond that. Maihime was originally named Kameizumi but was renamed in the coronation year of Emperor Taisho. 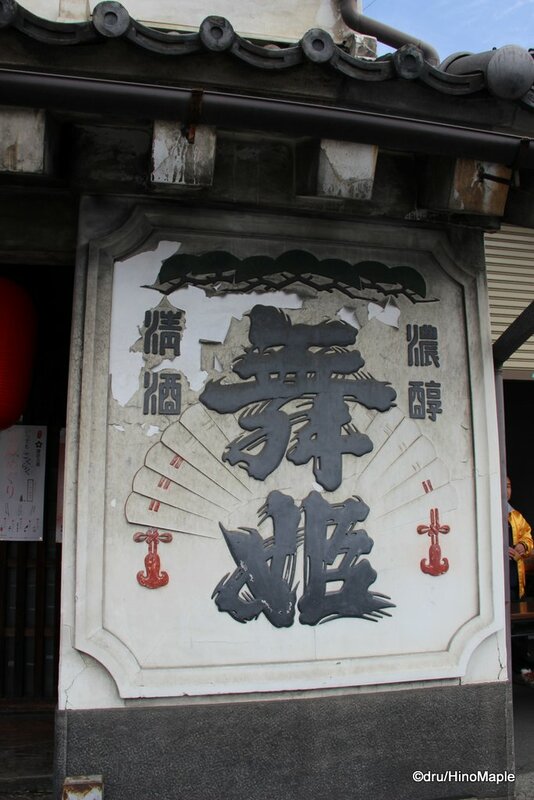 Kameizumi, before the name change, was born in 1894 and has been brewing sake ever since. The kanji for Maihime is roughly translated into “Dancer” or “Dancing Princess”. It is an interesting name and they play a lot on a distinct simplicity. They have simple bottles and simple boxes that make the sake look distinct to other brands. The boxes have a pinkish hue to them and the feel is a little glossy to the touch. While the brewery is the closest to the station, their showroom is pretty small. You can easily miss the showroom if you didn’t notice the cedar ball at the entrance. It is a small shop that can fit only a dozen or so people at one time. It is a beautiful simple showroom with shelves stocked with their sake. They also have a few fridges filled with sake. When I went it was a bit empty due to the festival the day before. You can buy a lot of different types of sake but I kept it simple and just bought one bottle for myself. 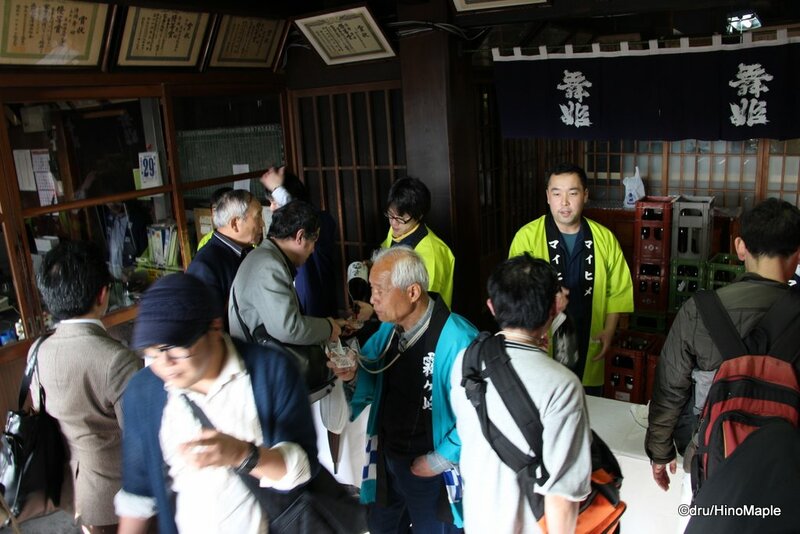 During the festival, they open up a warehouse entrance for people to enjoy sake. It was a mad house trying to get in and try their sake. They only had a few varieties available and it was difficult to get in and try some. People were easily spilling onto the street as there just wasn’t enough space for them to stand and enjoy the sake. Inside the shop, after the festival, you can still get tastings of the sake but you cannot go back for seconds. It was a nice place but the person inside the shop was not very helpful or friendly on the day after the festival. She looked a little bored and uninterested and didn’t bother to help me. It could be that it was a young girl with little to no interest in sake and it was a part time job for her but I’ll never know. I won’t let it affect how I feel as when a shop doesn’t have “pros” helping you it is a little difficult to see passion within the company shop itself. During the festival it was all hands on deck and a nice young woman was very helpful in giving me a little information about the sake itself and recommended me to return the next day, which I did. This entry was posted in Chubu, Chubu Food and tagged japan, Maihime, Nagano, nihonshu, sake, Suwa by Dru. Bookmark the permalink.